I’ve watched Star Wars: Episode VII – The Force Awakens last week, but I only have the chance to review it now. There are so many events regarding Star Wars. There are even people who watched this film while wearing the costumes as well. I guess this is what they called Star Wars phenomenon. Well, it’s been 10 years since the last film, Star Wars: Episode III – Revenge of the Sith (2005) and it’s been 38 years since the first film, Star Wars: A New Hope (1977), was released. And Star Wars fans have never diminished. It even increases through time. So, let’s talk about The Force Awakens. For Star Wars fans out there, I think you are going to like this film. Even a non-Star Wars lover will like this film. For Star Wars fans, the film will treat your longing for Star Wars film. It still has all the elements that we’ve been waiting for in a Star Wars film. Although I have to admit the basic idea of the story in this film is kind of the same from Star Wars: Episode IV – A New Hope. There are also many things new in this film but the overall is pretty much the same. I’m sure if you’ve watched Star Wars films, especially Episode IV, you will recognise the pattern in The Force Awakens. I kind of can guess the outcome, looking back how the Episode IV ended. It’s pretty similar in many ways and The Force Awakens is kind of like a remake of A New Hope. It does feel nostalgic at the same time, though I personally was hoping something different. I don’t know about the Star Wars fans, but if you haven’t watched any Star Wars films, I think you don’t mind the similarity since you basically don’t know about the story before. However, don’t worry so much about all the similarities because not everything looks the same. There are also some new things added in the story too. Some are not quite expected, I must say. Therefore you can still pretty much enjoy the film. I think the similarities were made in order to remind all of us about Star Wars or as an introduction to the people who never saw Star Wars before. Of course, I am not going to say what are the things that make The Force Awakens is very similar to A New Hope because it will spoil everything. However, if you haven’t watched The Force Awakens by now and you’re a Star Wars fan—basically, if you’re a fan, you must have watched it by now but in case you haven’t—I have to warn you that if you are expecting a new Star Wars story, well, you can lower your expectations because you will feel you know the story of The Force Awakens when you watch this film. At least that’s how I felt. Filled with not just action and adventures, The Force Awakens also put some humour in it. The technologies are much better than before, of course, but still look like and feel like Star Wars. I kind of sad that there is no Master Yoda anymore. After all, he is a legendary icon of Star Wars. Just like Darth Vader. I mean, even if you’re not a Star Wars, at least you must have heard of them or seen them. They are two iconic characters from Star Wars after all. But oh well, now is the time of new icon, I think. There is a new droid called BB-8. R2-D2 and C-3PO are still there but you just can’t deny the fact that BB-8 is kind of cute too. I missed seeing Han Solo and Chewbacca, and I’m glad I can see them once more in their old ship, Millennium Falcon. It feels very nostalgic indeed. Even the president of LucasFilm stated that the crews also look stunned when they saw Han Solo and Chewbacca on the ship. I guess after 32 years, people do miss them. It’s fun to see Luke Skywalker and Princess Leia again too. The three of them are indeed one of the iconic characters of Star Wars and seeing them again is really nostalgic. I never know Daisy Ridley before The Force Awakens, but I think the role Rey is suited for her. As for John Boyega who played Finn is also very good. I have no idea that he is actually British until I’ve seen some interviews afterwards. Believe me, all that British accent is gone. I think you can’t seem to understand what’s going on in the story until Star Wars: Episode VIII, and I really can’t wait for that film to be released. The sooner, the better, of course. I don’t mind the similarities between The Force Awakens and A New Hope. However, I just wish they made it entirely different. Nonetheless, since not everything is the same, I think The Force Awakens is still entertaining and enjoyable to watch. At least to those who never watched Star Wars films, this film is kind of a good introduction of Star Wars terms. Like Jedi, Force, and all. Although it is not explained thoroughly, I think it will in time. The Force Awakens is worth to watch, not just for a Star Wars fan, but also for those who never watched Star Wars films before. 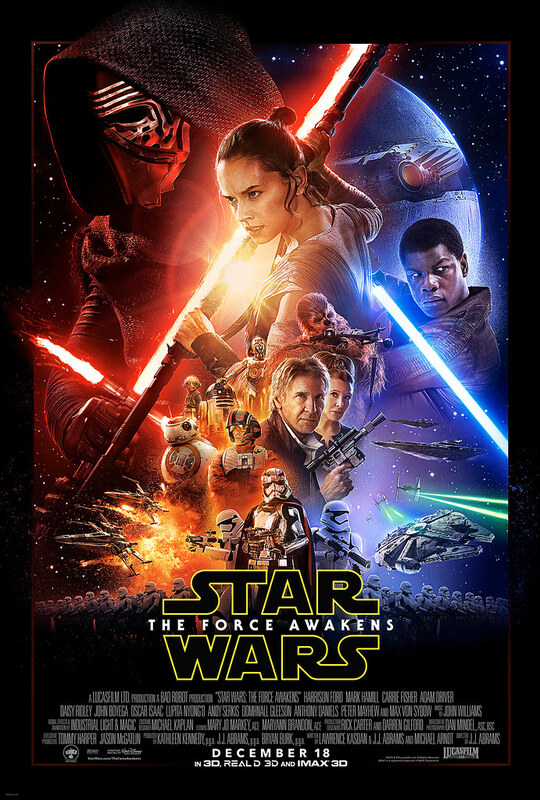 I give Star Wars: Episode VII – The Force Awakens 7.5 out of 10 stars.